Sherlock Holmes is the best-known of all fictional detectives. 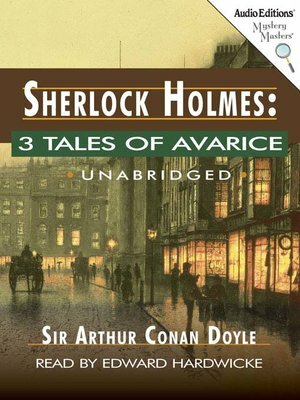 Drawing on his encyclopedic knowledge of crime, and with assistance from Dr. Watson, Holmes' powers of observation and deduction are without equal. Watson, the master storyteller of these mysteries, evokes the rich atmosphere of Victorian London and a sense of excitement. In "The Adventure of the Priory School," a wicked scheme to kidnap a young lord results in a greater tragedy. In "The Red-Headed League," Holmes catches one of London's most daring criminals while investigating the strange business of the Red-Headed League. In "The Adventure of the Blue Carbuncle," an unusual sequence of events leads Holmes to discover the precious blue carbuncle of the Countess of Morcar.